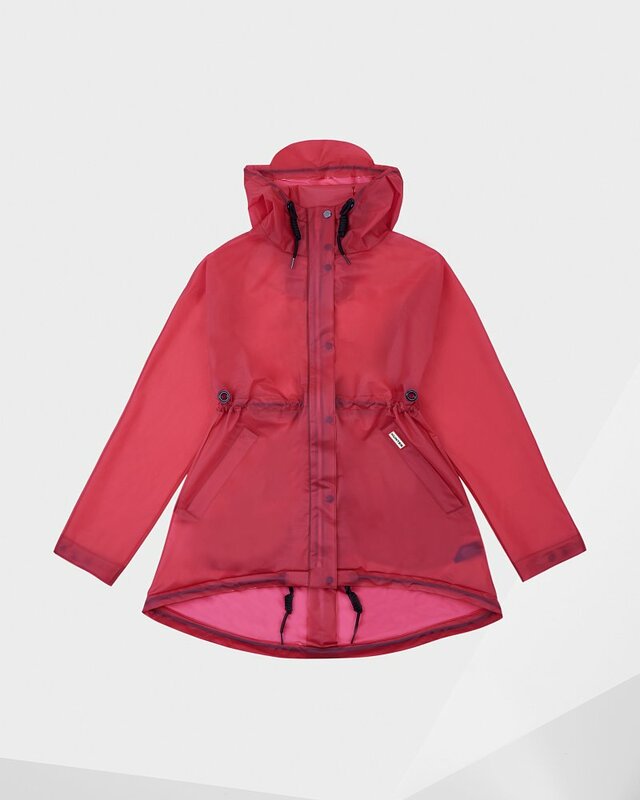 A rain-ready icon, the Original Vinyl Smock in bright pink is the ultimate waterproof jacket. Crafted from 100% vinyl, welded seams and reverse entry welt pockets ensure superior weather protection. Draw cords at the waist, hood and hem give you full control whatever your wet-weather adventure. Rated 1 out of 5 by mtsui from POOR QUALITY! This Jacket is beautiful, but NOT DURABLE! Like the review below, I wore this jacket once or twice last spring and the pocket ripped. Apparently, the pocket is for decoration only... don't use or put anything in it because it will tear easily when you take your hand out and they won't warranty! Rated 1 out of 5 by JHorn from Material ripped - Poor quality Although I like the design of this jacket it ripped with very little wear. Due to the material it is unfixable and the small tear has spread across the jacket making it unwearable. For such an expensive jacket I would have expected a much higher quality. To add insult to injury, once I contacted the brand about the tear they only offered me a small discount to buy more products. I am disappointed and won't be purchasing from this brand again. Rated 5 out of 5 by Sherril from I have been looking for a light weight, stylish rain coat for sometime and im happy that I have found the hunter vinyl smock. It does everything it needs to do and looks great.